A lot of customers often wonder about different types of plumbing pipes available to them, when they consider repiping their homes. Practically all new plumbing pipes for replacing old, rusty, and galvanized pipes are either copper or PEX pipes. PEX (cross-linked polyethylene flexible tubing) has become a really widespread choice in the last 20-30 years and has some advantages over traditional copper. Not only are PEX pipes colorful and flexible, they are also very durable, they reduce the possibility of future leaks, resist extreme high and low temperatures; such pipes are efficient, providing a rapid flow of water. They are also environmentally friendly, lasting and can save you money on water bills. Plumbing with PEX piping is also very economical! 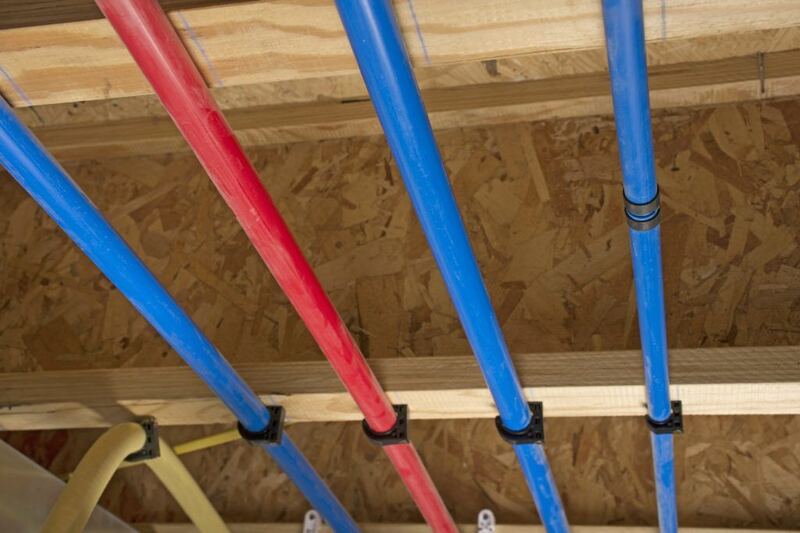 PEX materials are cheaper than copper ones, requiring less effort from plumbers to install a new plumbing system using PEX pipes. Flexible PEX tubing is installed and serviced comparatively easy. Even if you install PEX in a conventional main line, the connections are faster to make than soldering copper. Wet or dry PEX installation allows you to test pressure immediately. A smaller amount of joints and fittings reduce the total installation costs and the chance of repetitive repairs. PEX tubing was created to resist corrosion and scale accumulation, which improves the entire operation of the plumbing system. Contact Downey Plumbing Heating & Air Conditioning and our PEX piping experts will gladly assist you in making the right decision concerning your home repipe.